It looks like a disco ball. Symantec's mostly known as the makers of Norton AntiVirus, which is probably one of the most popular antivirus software in the world despite the, uh, occasional slip-up. Now, the company is venturing into hardware, with the release of the Norton Core. It's a mobile-enabled WiFi router that touts machine learning and Symantec's threat intelligence smarts to defend your home network from getting those digital nasties in the first place. 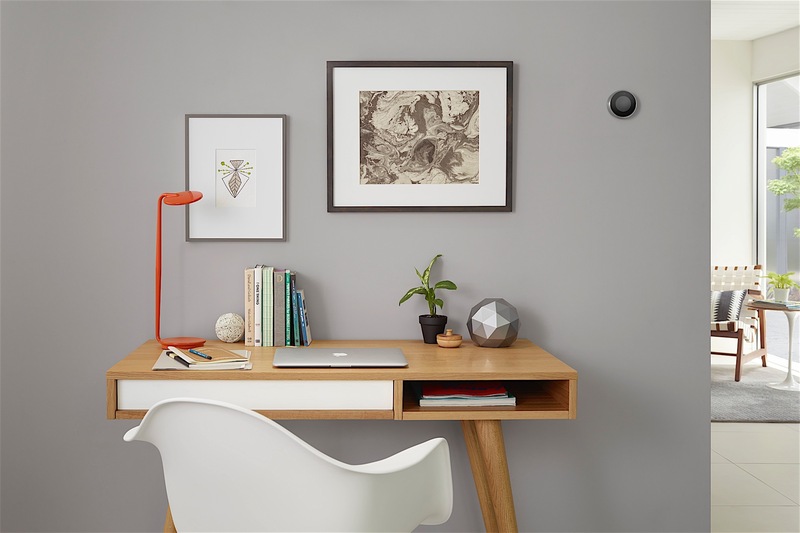 The idea here is that while antivirus software can protect your PC, it's not able to shield your other connected devices -- like your Nest thermostat or Philip Hue lights -- from getting infected. And, seeing as IoT gadgets are pretty vulnerable to malware attacks, that's quite a big risk. Symantec wants the Norton Core to prevent that from happening while packaged inside an attractive geodesic dome (which admittedly does remind us of the Plume). This is so you'll be encouraged to put it out in the open, thus giving an open, unobstructed signal. Using a cocktail of data encryption, secure DNS, automatic security updates and more, the Norton Core hopes to ensure your web traffic is safe, and if it isn't, it'll warn you if anything is suspicious. It even practices proactive protection by quarantining compromised devices to make sure the bad stuff doesn't spread. 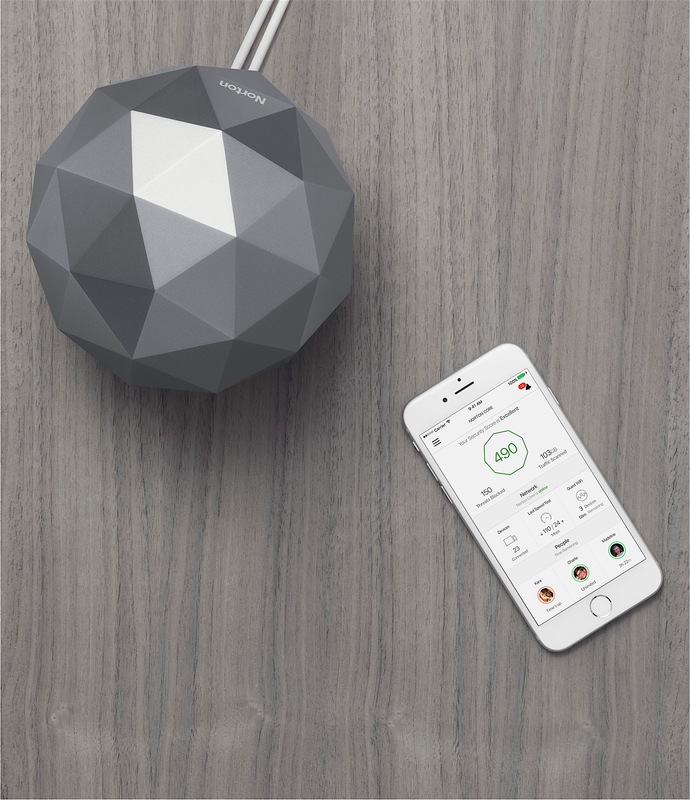 What's more, you can control the router with your phone via an app. It'll show you what threats are blocked and what devices are currently connected to the network. The app gives you status updates so you can always make sure you know when something suspicious is going on. In addition, it generates a "Security Score" on your network (which Symantec describes as a credit score but for your security) and identifies vulnerabilities. As on many other routers, there are also parental controls for you to limit the network use of your child's devices. Either you can set a timer on their internet use or simply shut it down entirely so they'll come downstairs for dinner. Of course, a router is only as good as its speed and performance, and the Core is promising on both counts. It supports Wave 2 WiFi and is powered by a 1.7GHz dual-core processor, with a claimed coverage of 3,000 to 5,000 square feet. You can even set device priorities, so you can ramp up the speed of your Xbox in order to get the most of your Netflix streaming. It also supports simultaneous 2.4GHz and 5GHz transmission, with a max throughput of 2.5 Gbps. The Norton Core is up for pre-order for $200 (the regular price is $280), and comes bundled with a one-year subscription to Norton Core Security Plus. All told, you can add up to 20 devices -- be they Macs, PCs or mobile phones and tablets -- plus an unlimited number of connected-home gadgets. The Core comes in either Titanium Gold or Granite Gray and will ship this summer.